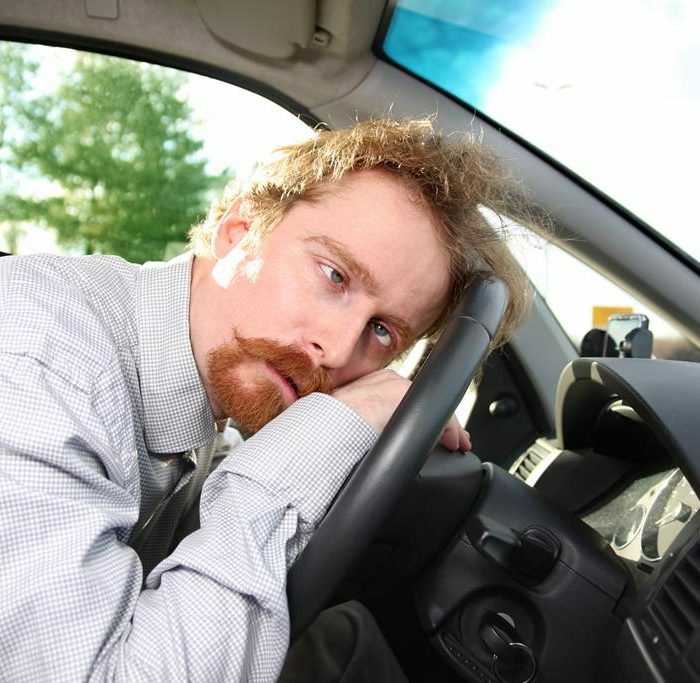 Every motorist is always interested in an accident-free driving. 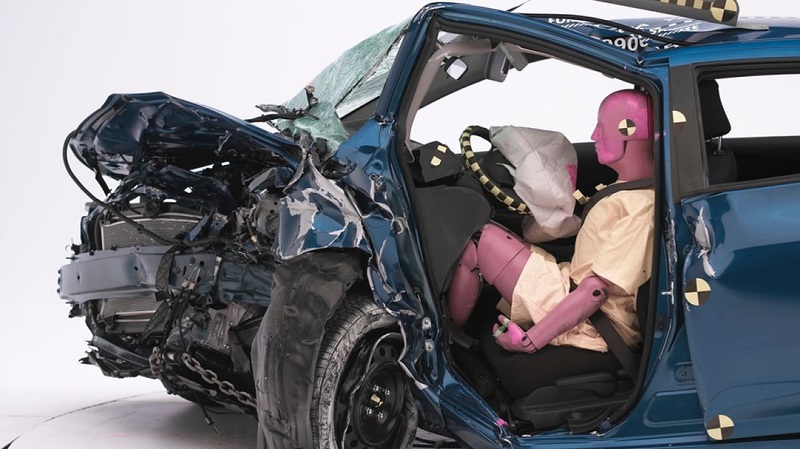 Sooner or later, the question arises, how does the level of driving safety depend on the car’s color? There is certainly an influence of the vehicle’s color on the number of accidents. Let’s look at the nuances of this relationship. In psychology, there are many studies on the perception of various color shades, as well as the study related to conditions of individuals who prefer one or another color. In ergonomics, developments are actively carried out aimed at studying the influence of the environment color on the level of human work efficiency, features of his attention, reaction time, etc. In any case, each color carries a psycho-emotional charge. The color scheme may even cause an optical illusion, because every shade affects the perception of the object’s size and shape. For example, a dark car seems smaller in comparison with a light one. In addition, it is no secret that the white car’s body looks much more prominent than the body of the dark one. 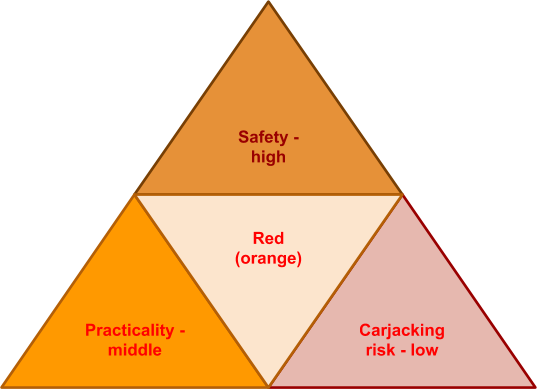 In general, the choice of the car color in terms of safety, practicality and carjacking risk will be different. The general principle of the accidents number’s dependence on the car color is as follows: the lighter the car, the safer it is. According to statistics, the share of crashes between cars of dark colors is 60-65%, dark with light – about 25-35%, and light with light – no more than 6%. Cars of bright or contrasting colors least often get into car accidents. The probability was calculated proportionally, taking into account which cars are greater and which are fewer in number on the roads. The sun-orange shade was considered the safest in terms of accident rate. Cars of brown, yellow and violet colors also very rarely get into traffic accidents. The more the car stands out from the overall range, the faster it will be noticed by other road users. The most optimal is the color of fire and blood, because it is associated by humans with danger at the genetic level, serves as an alarm signal, sobers and mobilizes. It can’t be said that drivers on red cars get into accidents more often than others. On the one hand, all bright cars (orange, yellow, red) are clearly visible on the road. On the other hand, more ambitious people initially prefer a red car. They are more likely to violate traffic rules and often create accidents due to aggressive driving. It always seems that a red car moves much more energetically and is closer to you than it really is. Also red is the favorite color of young people, especially girls. Modern youth choose the car shade in accordance with the image and character. Owners of such cars are either romantic girls or self-confident dudes. Therefore, experienced drivers say that the appearance of several bright cars, including red ones, threatens with an accident. In winter, on a snowy background, a white car becomes invisible. However, this color is still loved, especially in the southern regions – it is cooler in it, since the white color reflects the sun’s rays. The abundance of white cars makes the flow less noticeable, which also increases the risk of getting into an accident situation. 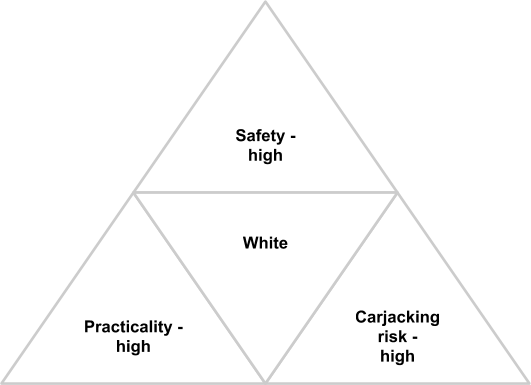 But insurance companies‘ data suggests that white cars are among the least dangerous. White cars are less dangerous on motorways, but this color is fraught with another peril. Such vehicles very often become prey to carjackers because of the easy way of applying another paint on a white surface. In conditions of poor visibility, for example, in thick fog, such cars are the least visible. 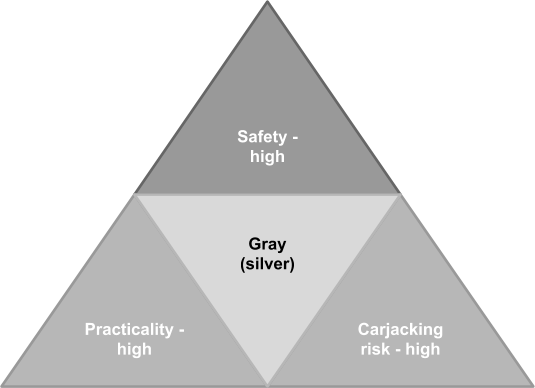 Insurers consider gray cars the most dangerous, even under good weather conditions – such cars blend with the roadway color. 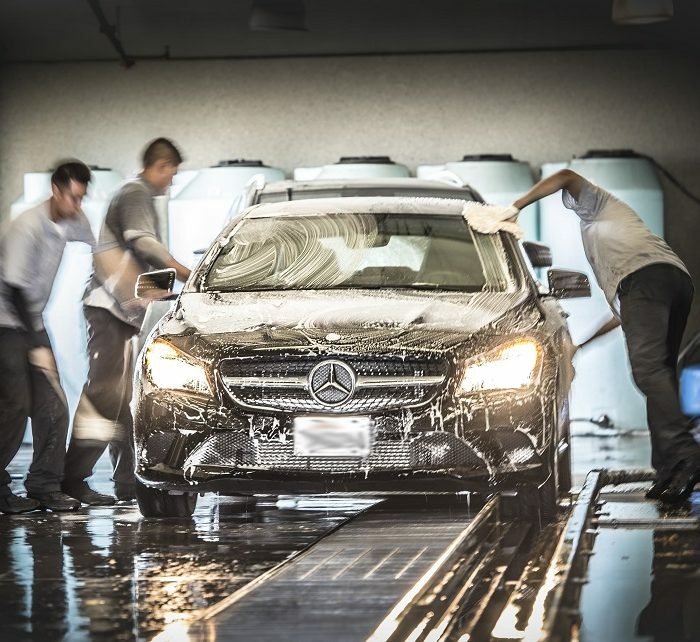 But according to statistics, gray cars are twice as rarely get into an accident. Silver shades were bestsellers for many years, so these vehicles are most common and, therefore, are in the greatest demand. That’s why there is a very strong chance that a stolen car will get lost in general car stream. Black or chocolate color of the car, undoubtedly, make it more presentable. But at the same time, such cars are hardly visible to surrounding drivers in the dark. In the 1970s, an experiment was conducted, when people guessed the distance and speed of three simultaneously moving, equally spaced cars, but painted in different colors. 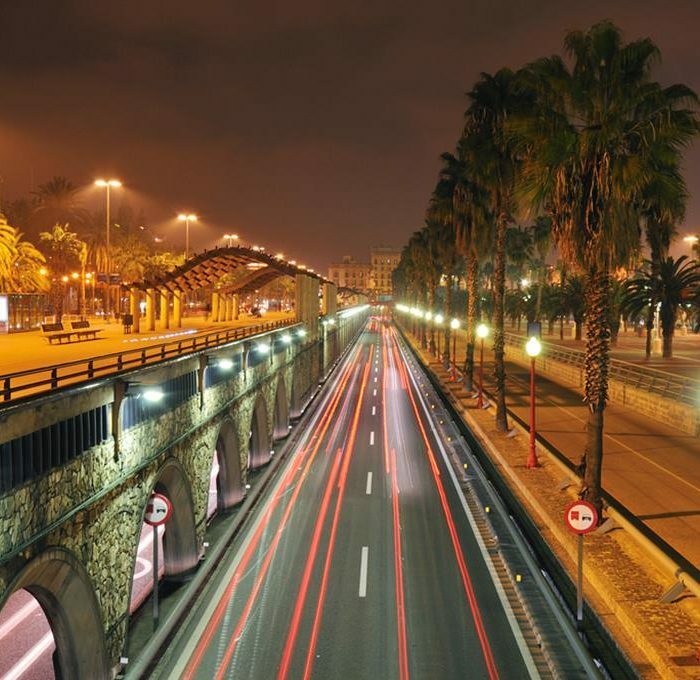 According to the majority of subjects, the black car drove slower than the others and was the furthest from all of them, and this corresponded to the minimum level of safety in the exacerbation of traffic situation. The experiment confirmed the world statistics, according to which the most dangerous cars are black and dark gray. Also for two decades, researchers at Monash University in Australia have been investigating the question of which car color range most often get into an accident. They analyzed more than 850 thousand emergency situations. 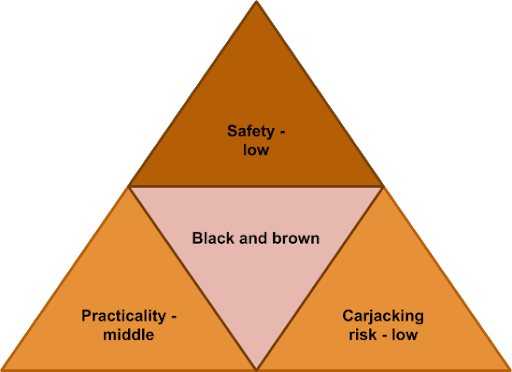 The conclusions made by Australians say that the most dangerous on the road are cars of black shade. In the daytime, cars of this color got into accidents by 12% more often than others, and by 47% more often at night. In general, black and gray vehicles become almost invisible and blurred because they blend with a road. Cars of these shades are especially dangerous at night. So, even if you drive a car of “safe” color, you still need a driver’s license, and better – one of an international model. So hurry up and process it! On our website, you can spend only a few minutes to become the owner of an international driver’s license.